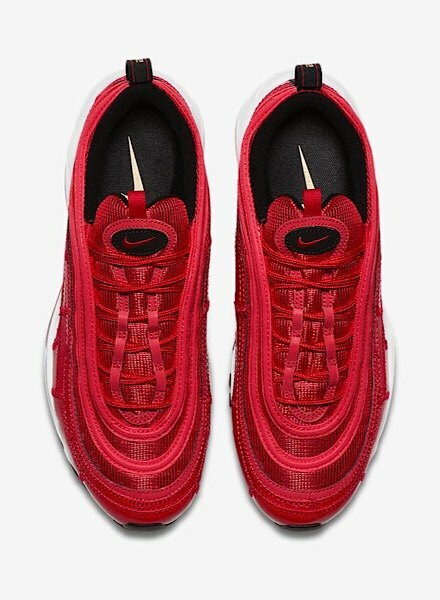 Coming Soon: Air Max 97 CR7 ‘Portugal Patchwork’As part of Nike’s Air Max month celebration, The Swoosh has teamed up with Cristiano Ronaldo once again on the mighty Air Max 97. 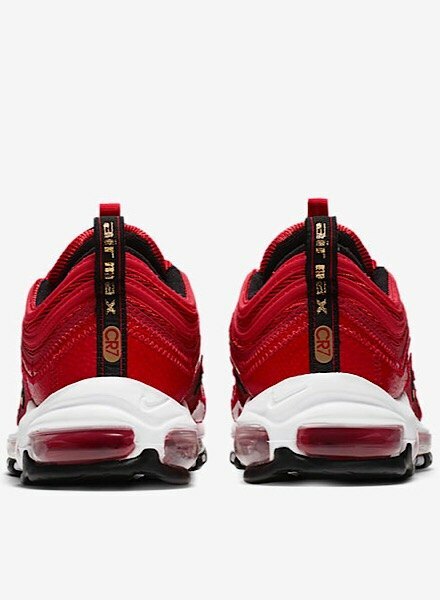 Following on from the instant sell out on JD of the Golden Patchwork pack, this time we’re treated to a pure fire all red collab. The “Portugal Patchwork” pack. This must-have, limited edition sneaker’s ‘patchwork’ style design is influenced by Ronaldo’s childhood. Reputedly, he had two pairs of shoes as a kid. One for playing in and one pair for school (sounds familiar right?). He kept his school shoes in pristine condition, but his play trainers always had holes in from the sheer amount of time he spent ballin’. His mum would patch these up which meant he could carry on playing and perfecting his skills. The all-red colourway pays homage to his Portuguese roots! Nodding to his childhood while celebrating his legendary play on the pitch and beyond. Launching @ JD 01.04.18 and expected to fly out, you’re gonna’ have to move quick to cop. You ready?